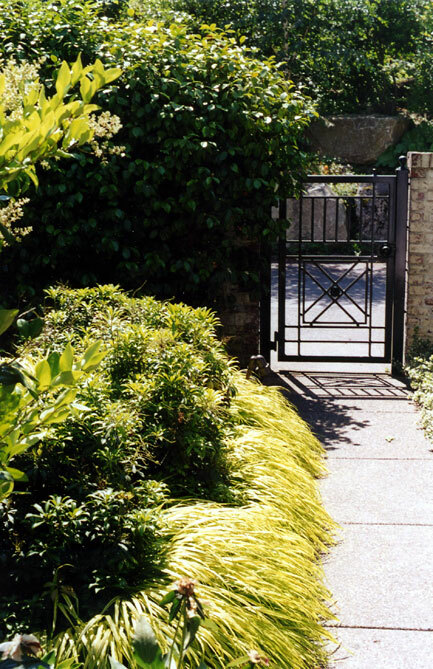 Inspired by the formal gardens of Colonial Williamsburg, Virginia, this “L”-shaped garden on a hilly site in the Denny Blaine neighborhood takes advantage of a wide side yard. 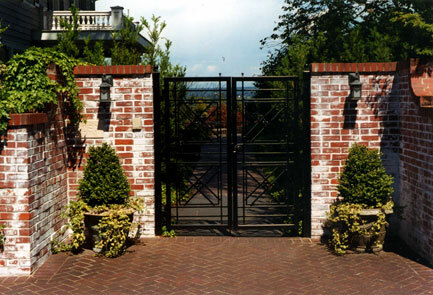 Accessed from a narrow lane through a tall whitewashed brick wall, the renovated Georgian-style house was built perpendicular to the street so that its main front entry faade faces onto the side yard rather than the lane. 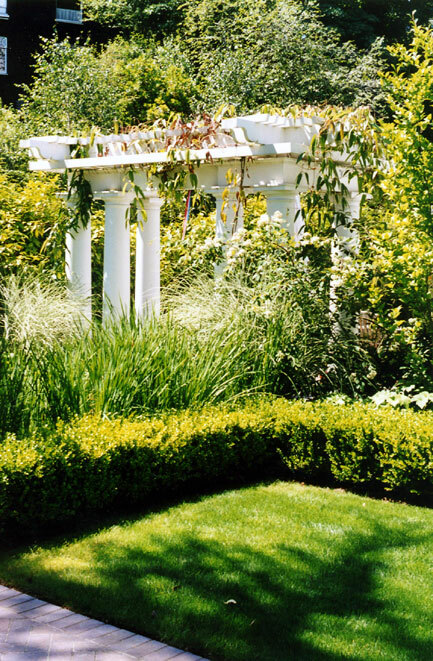 This arrangement allowed Bill Talley and Seattle landscape architect Brooks Kolb to emphasize stunning views out across Lake Washington to the Cascades. 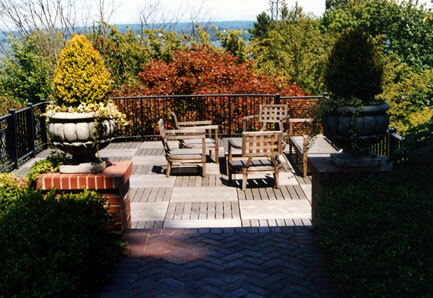 Beginning with a formal rectangular lawn edged in English Boxwood, the main garden steps down to extend outwards towards the view by the addition of an Ipe (tropical Ironwood) deck cantilevered over the slope. A narrow side-stair leads downwards towards a surprise element a glass-roofed summer house covered with Wisteria and containing an outdoor kitchen with a fireplace for outdoor dining. 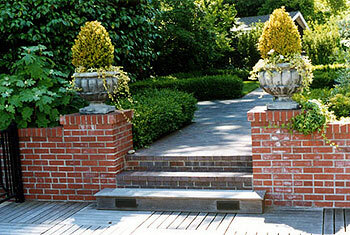 The landscape architects finished the composition by locating a small stone fountain imported from a French chateau directly on an axial view-line with the massive steps leading up to the front porch. The shorter arm of the “L” near the garden entry adjoins the kitchen and features a paved terrace for three children to tricycle on. 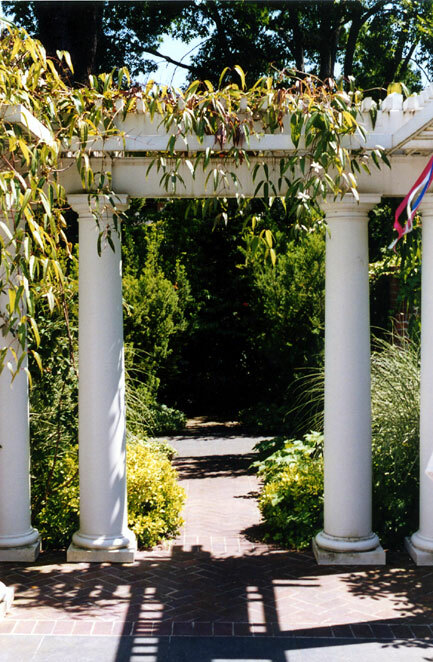 This space is separated from the main garden by a large white pergola designed by architect Brandt Hollinger, with whom Brooks Kolb has repeatedly collaborated. 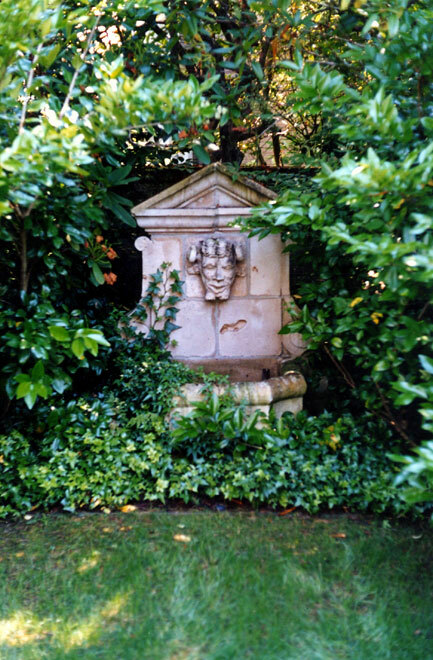 The landscape contractor, also a frequent collaborator, was Gardens by Michael Angelo.